Challenges take place over a couple days, a week, or a month, and will engage your existing customers while growing a new audience. Like traditional marketing, they build awareness and loyalty for your brand that ultimately drive purchases. But challenges are unique in that they motivate your customers in an authentic way by inspiring them to do what they already love – setting a goal and smashing it – with your brand at the center. 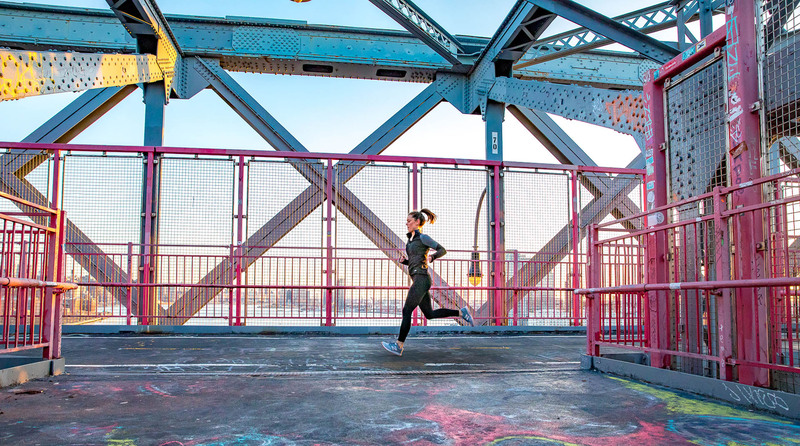 Your challenge lives in the featured gallery, putting it top of mind for any athlete looking for a new goal. Athletes are always searching for a new goal. 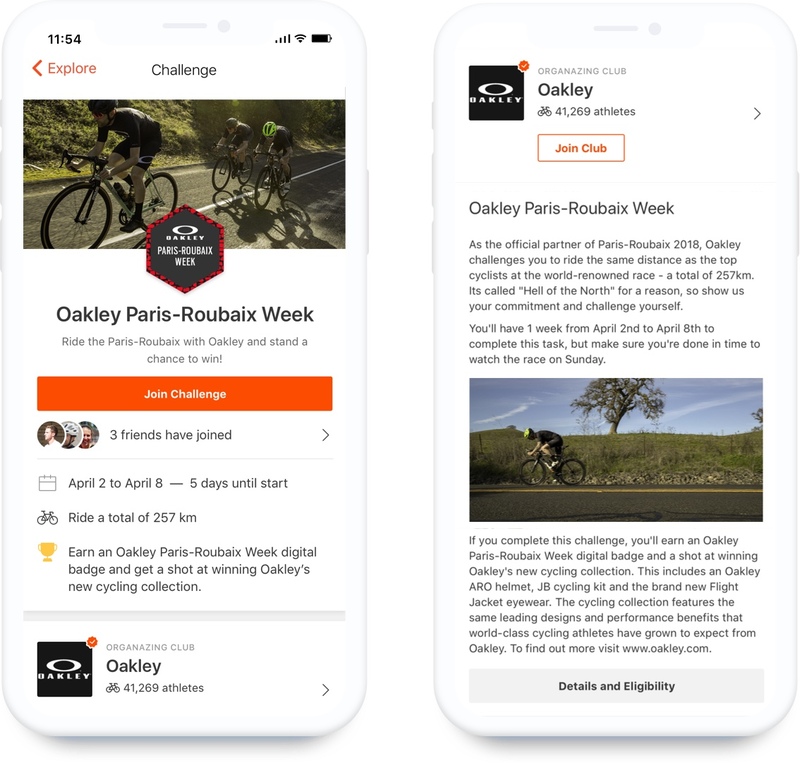 Businesses on Strava can design challenges to motivate them to reach the next level and have a unique experience along the way. Brands choose the parameters of their challenge. 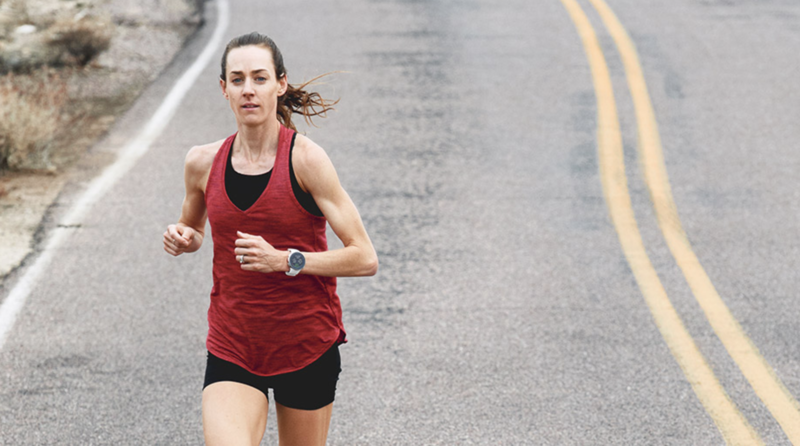 This includes the audience (all of Strava or targeted by country, gender or sport), duration (one week to one month) as well as the goal itself (distance, time, elevation). For example, run 26.2 miles in a month or ride 10 hours in a week. 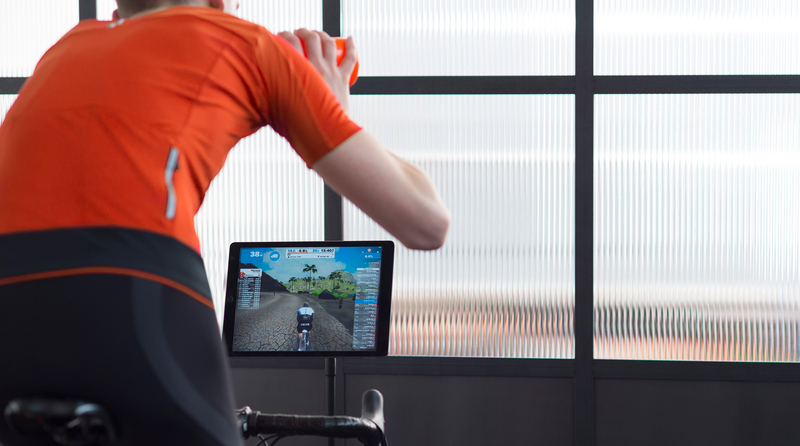 Athletes learn about challenges from the challenge gallery and in their Strava feed as their friends sign up. Participants log activities toward the goal and can check their progress on their profile or the challenge detail page. 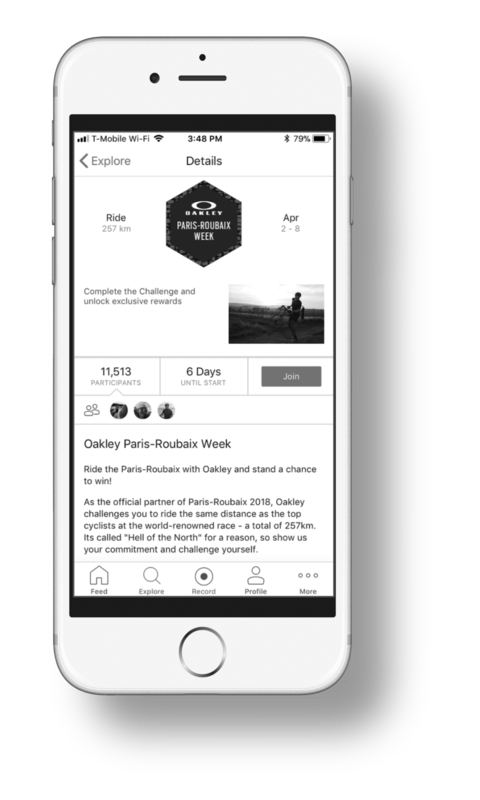 Share the challenge link with your community and social channels and inspire even more athletes. All finishers receive a badge for their digital trophy case, designed by you, upon completion of the challenge. Brands often offer additional prizes, including product discounts, race entries and/or experiences unique to the sponsor. Athletes can opt in to receive future communication from you.